AURORA, Colo. – January 25, 2017 – Each nursing student’s educational journey is all their own. The way they learn, when they study, the experience they bring, and the challenges they overcome, are unique to each nurse. 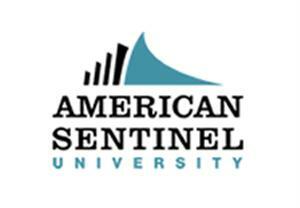 That’s why American Sentinel University, an accredited healthcare-focused online university designed an innovative new online option for earning a BSN that is exclusive to each nursing student. The program is called RN to BSN, Competency-based Education (CBE) powered by SIMPath. American Sentinel’s SIMPath incorporates a robust digital simulation into the curriculum that provides nursing students the flexibility to earn their degree, their way and demonstrating their competencies using their styles in real-world work output. SIMPath uses Sentinel City and Sentinel Town™ as the central simulations which are currently being used in over 50 nursing schools in the U.S. and Canada. “Our SIMPath program eliminates those shortcomings by immersing the student in virtual, real-life situations, and allows students to interact with vital information providers through intelligent agents (or bots) and the use of virtual and augmented reality simulation,” says Karen Whitham, Ed.D., MSN, RN, CNE, Associate Dean, Nursing and Healthcare Programs at American Sentinel University. Dean Whitham says the university’s RN to BSN, CBE Powered by SIMPath is the first degree program based primarily on simulations, not just used in nursing, but education anywhere. American Sentinel’s new RN to BSN, CBE powered by SIMPath is CCNE-accredited and was designed for nursing students to learn at their own pace and leverage their skills and knowledge to complete as many competencies as they want in 16-week terms. This is exciting new learning format makes it possible for nurses to finish their BSN in less than a year for as little as $9,000. Students accepted to the RN to BSN, CBE powered by SIMPath may be awarded 60 credit hours of the total 120 credit hours for their RN license and ADN or nursing diploma. Additionally, students can transfer up to 30 credits of general education leaving ten nursing credits to earn the degree. The addition of SIMPath offers students an interactive and immersive simulation. Assignments focus on observations and experiences from the digital simulation, allowing them to explore different communities from the comfort of their own home. She points out with a shortage of nurses with access to nursing education in many rural areas throughout the country that American Sentinel’s RN to BSN, CBE powered by SIMPath opens BSN degree opportunities to non-traditional students, including working parents and those with time constraints. The RN to BSN, CBE powered by SIMPath is 100% online and designed for working healthcare professionals, providing them with the convenience to complete competencies around their busy schedule. For information or to apply for American Sentinel University’s RN to BSN, CBE powered by SIMPath™, please visit https://www.americansentinel.edu/nursing/rn-to-b-s-nursing/bsn-competency-based or call 866.922.5691.